Ella Rhodes follows up coverage from our Research Digest blog. A recent article by Christian Jarrett on our Research Digest blog examined Norwegian research of the life experiences of clinical psychologists. 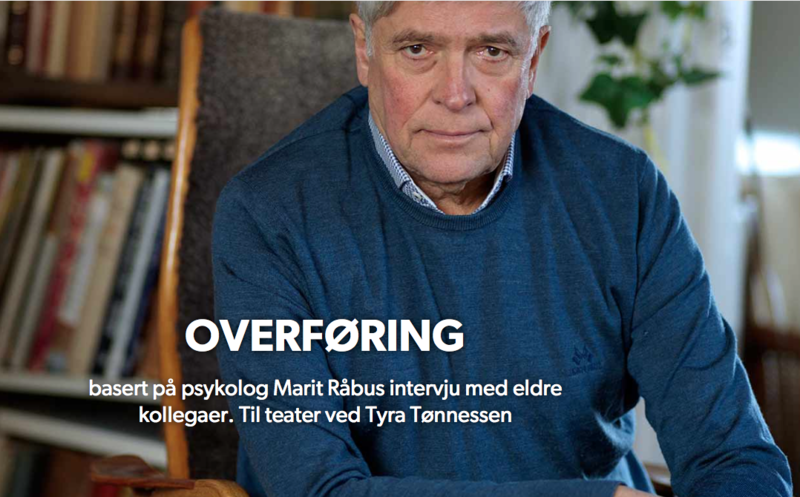 We spoke to lead author Marit Råbu about the research and how this work will soon become a play featuring some of Norway’s most distinguished retired actors. 'Asked to reflect on their life’s work, a recurring theme in the therapists’ comments was that it had been a privilege, a humbling experience to come so close to other people’s lives, to witness their pain and suffering and see their sometimes remarkable ability to cope and adapt. The therapists described how this insight had affected their own personal growth as they “used different parts of themselves with different clients”. It had also enriched their own personal relationships, they said, by teaching them to be humble and accepting of others. Råbu and her colleagues have also recently published an analysis of the same interviews around the themes of wisdom (tinyurl.com/j5v5b8o).